A newly elected Utah lawmaker on Wednesday announced proposed legislation he called “Lauren’s Law,” which is meant to hold gun owners responsible for what people do with firearms they loan or negligently allow out of their control. The legislation is named for 21-year-old University of Utah student Lauren McCluskey, who was shot to death Oct. 22 by Melvin Rowland, a man she’d briefly dated, said Rep.-elect Andrew Stoddard, D-Murray. Rowland — a convicted felon prohibited from possessing a firearm — used a borrowed gun in the slaying. Campus police have said the lender did not know Rowland’s plans, and that it is unlikely he will be charged. Utah legal experts told The Salt Lake Tribune at the time that state gun laws require evidence that proves a gun owner intended to help someone commit a crime by lending a firearm, or that the owner knew it was illegal for the borrower to have a gun, to prosecute. Stoddard’s law would codify a civil liability for individuals whose guns are used to commit crimes after he or she let someone borrow it or didn’t store it securely. “It will make people think twice before they loan their gun to someone else, or don’t leave it in a safe, or leave it in their car," he said. "Down the road, we can look at addressing the criminal issue, but I think right now there’s really a consensus that people who own guns, people who don’t, they’re all for responsible gun ownership,” Stoddard said. Stoddard, who has worked with domestic violence victims for much of his career, said this is the third bill he’s introducing to tighten Utah’s laws regarding domestic abuse. Last year, the majority of all homicides in the state stemmed from domestic violence. 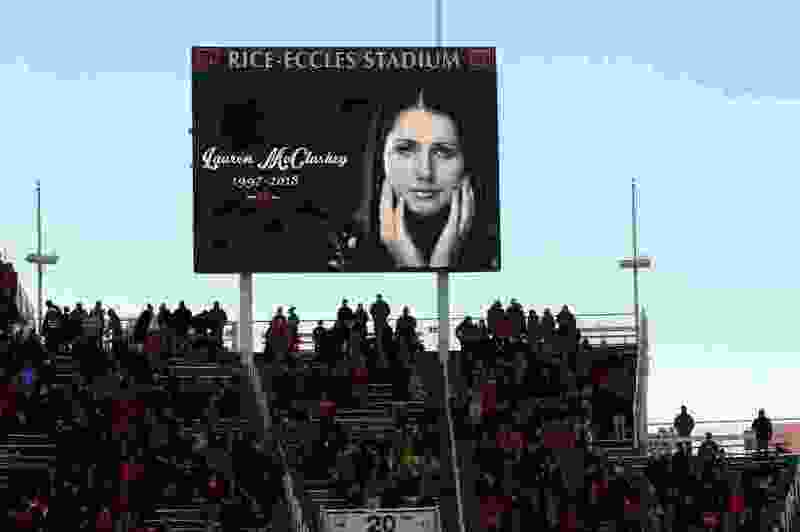 The legislation announcement came hours after the University of Utah released a report outlining shortcomings in how campus police investigated and responded to Lauren McCluskey’s reports of harassment and sexual extortion by Rowland in the days before her death. While the report noted significant missed opportunities, such as police not investigating the case for days because the assigned detective was off work, university President Ruth Watkins said she doesn’t believe McCluskey’s death could have been prevented.